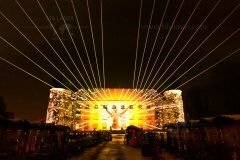 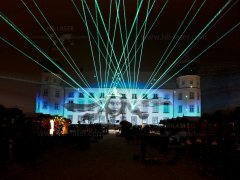 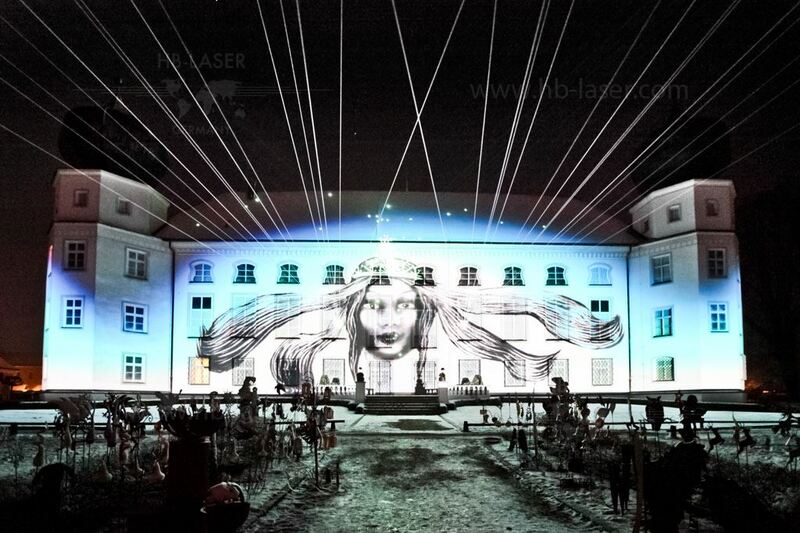 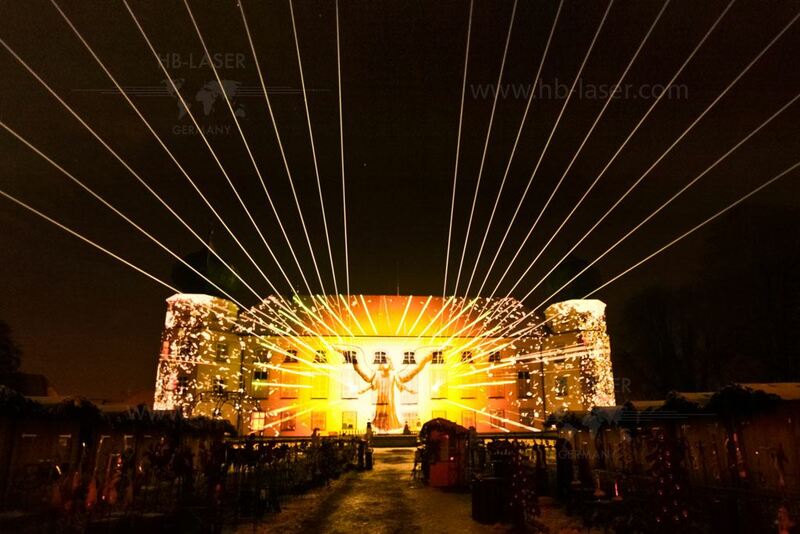 In 2010 and 2011 HB-Laser provided a spectacular laser show and multimedia show with video mapping and laser mapping at Castel Tuessling. 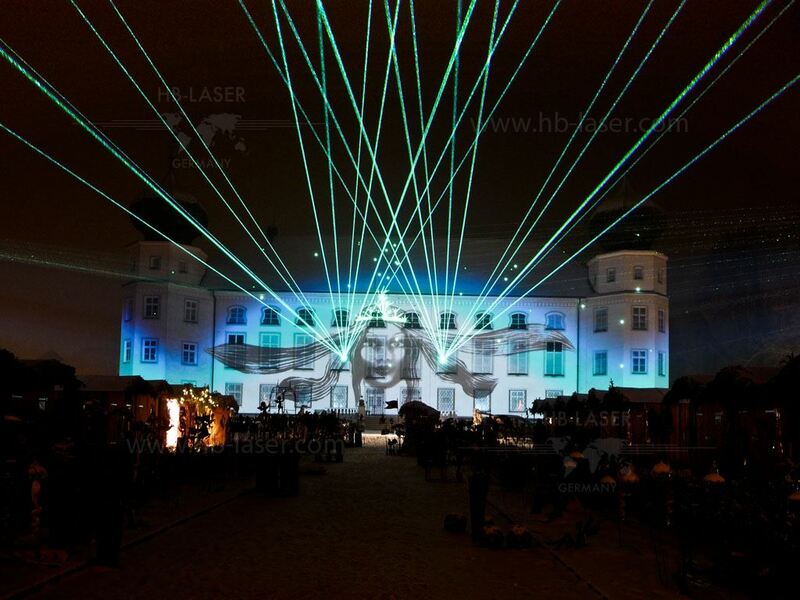 The front of the castle is about 80m long, which was completely mapped on with video and laser. 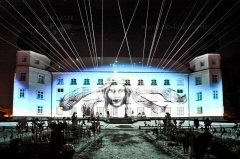 The shows at Castel Tueesling took place just some days before Christmas, where there was also a big Chistmas market in front of the castle. 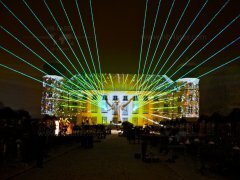 The show was provided as turn-key solution, including provision of the 3D content, programming, design, implementation and on-site show operation.